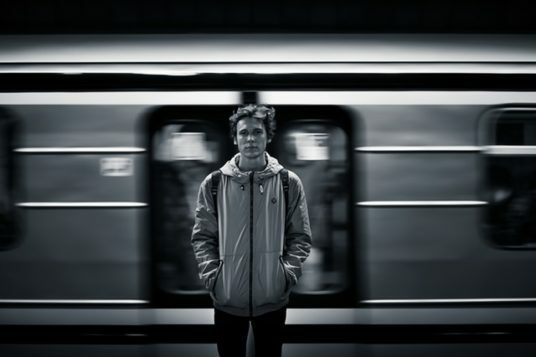 The experience of transitioning from high school to college can be overwhelming for anyone. Finding the college or university that is the right match for you can be even more challenging if you struggle with a disability. According to USA Today College, the National Center for Special Education Research reported in 2011 that just 19% of young adults with disabilities enroll in a four-year college or university. Knowing your rights and knowing what support tools, services and strategies are out there for you will dramatically increase your ability to succeed. Being assertive by communicating and making your needs and disabilities known to your college or prospective college is essential. This guide provides a brief introduction to the laws protecting students with disabilities and some of the resources available. It is in no way intended to be an all-inclusive reference. Use it to help you get started on your journey to finding the tools and resources that will work best for you. Knowing your rights and what tools, services and strategies are available will dramatically increase your ability to succeed. If you are in college or college-bound and you have a disability, at a minimum, you should be familiar with two main pieces of legislation and their governing agencies: Section 504 of the Rehabilitation Act of 1973, and the Americans with Disabilities Act of 1990. Section 504 of the Rehabilitation Act of 1973 applies to federally funded institutions. One of the earliest acts to protect individuals with disabilities from discrimination, Section 504 states that institutions which receive federal funding cannot limit numbers of students with disabilities. Furthermore, schools are not allowed to ask whether or not an applicant is disabled prior to admitting them. Additionally, students cannot be limited in their academic challenges or guided toward a less challenging career due to a disability. The Department of Education’s Office of Civil Rights (OCR), oversees the implementation of Section 504 of the Rehabilitation Act of 1973. The mission of the Office for Civil Rights is to ensure equal access to education and to promote educational excellence throughout the nation through vigorous enforcement of civil rights. If you feel your school is in violation of Section 504, you may refer to the OCR’s website to file a complaint. Title II protects individuals attending public colleges against discrimination at the state and local level. Private colleges are governed by Title III. The U.S. Department of Justice’s Civil Rights Division is responsible for enforcing and overseeing the ADA titles II and III. Complaints can be filed online, by mail or by fax. Each educational institution has its own interpretation of the disability laws and some may have better services than others. Certain schools, for example, may excel at providing access to classrooms and programs where others do not. Preferably during the admissions process, check your college or university’s website for policies, procedures, and support programs offered. You may also contact someone at your school’s Admissions Office or Office of Disability Services to find out what specific adjustments, technology and accommodations are available to you. Colleges and universities are responsible for providing access, support services and adjustments. However, there are many other resources available in the form assistive technology, adaptive tools, websites and software that will help you succeed in your quest for academic excellence. These may be but are not limited to: audio players and recorders, listening systems, calculators with special features, writing support and speech recognition, graphic organizers, mind mapping tools and so on. The resources below help you get started researching and learning about the many support tools available for individuals with disabilities. We live in an amazing time for technology; thanks to the proliferation of hand-held devices and the ease of making apps, there is an app for almost any need, and for plenty of things no one knew they needed. Wake N Shake – The Wake N Shake app isn’t just a cruel way to force yourself to get up in the morning; this app, which requires violent shaking to turn off, is a sneaky little motivator. My School Notebook – The highly intuitive My School Notebook app is perfect for students who struggle with attention in class, with easy, visual organization and the ability to share notes through a variety of ways. 30/30 – For students with ADHD or learning disabilities, study time can be miserable. The 30/30 app helps students set tasks to do in 30 minute increments, then take scheduled breaks for mental rest before going back. iThoughts – For visual learners, the iThoughts app helps create iconographic maps of ideas and relationships for organizing papers, preparing talks, or making notes. 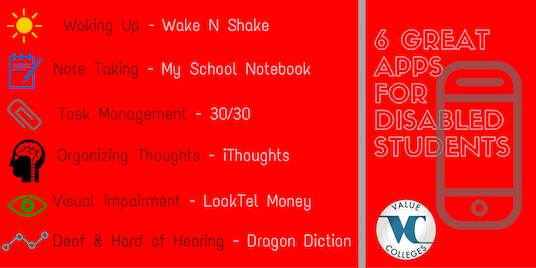 Dragon Dictation – Many visually-impaired students and students with disabilities affecting their hands or arms struggle to take notes or write efficiently; the Dragon Dictation app is one of the most popular and accurate apps for transcribing speech into text. LookTel Money – A simple app for an obvious need – the LookTel Money app “reads” currency and speaks aloud the amount. An ideal product for the visually-impaired. Only 40% of post secondary students with disabilities have informed their schools of their disabilities. 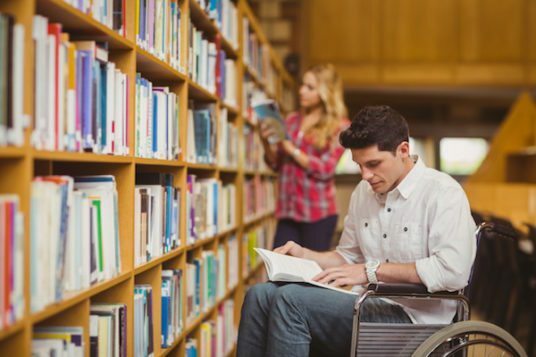 According to a study by the U.S. Education Department, 7% of post secondary students with disabilities acknowledged a disability but have not informed their schools of it. Only 40% of post secondary students with disabilities have informed their schools of their disabilities. While the laws and programs are in place, the learning experience for you as the student is quite different in college than it was in elementary or high school. In the past you may have had an Individualized Education Program, or IEP. IEPs are required by the Individuals with Disabilities Education Act of 1990 (IDEA). Alternately, a documented service plan may have been in place outlining appropriate accommodations. Your parent(s) or legal guardian and school personnel would have been responsible for insuring your program was being followed. In college, parents and administrators no longer play a major role in making sure appropriate assistance and support tools are in place. Now that you are in college, you must become your own advocate responsible for this process and you will need to self-identify in order to receive the benefits of support programs for which you are eligible. Self-identifying means coming forward to notify your school that you have a disability and need appropriate accommodations. Contact the school and provide appropriate documentation. For students who live with a disability, becoming your own advocate by self-identifying and following up is the key to success. You must become your own advocate to receive the benefits of support programs for which you are eligible. Does the college/university have an office of disability services? What documents do you require students with disabilities to submit and what are the deadlines for submission? Will I be required to resubmit documentation of my disability at any time? Who is the contact at this school for students with disabilities? How should I go about informing my instructors about my disability and any special accommodations? What kinds of support technology do you offer for students with disabilities like mine? Disabilities are no barrier to getting a college education, but the system can be. It takes a lot of guts to self-identify and ask, demand, or even fight for your rights if necessary, but they are your rights. You got into college because of your academic skills, not in spite of your disability, and it’s the institution’s legal responsibility to make your education accessible. If your rights aren’t being honored, there are many national and regional advocacy groups for disabled students, such as the National Disability Rights Network, the Learning Disabilities Association of America, the Council for Learning Disabilities, and Autism Speaks. These kinds of groups exist to make our nation and its institutions welcoming and accomodating to all people. By asserting your rights, you can ensure that you can spend your time doing what you came to college to do – not to be constantly reminded of your difference, but to make yourself the best you you can be.